Saginaw Bay: A few anglers were starting to fish before the first pressure crack off Palmer Road. Perch fishing was slow and the water was cloudy. Perch were caught off Cody-Estey Road and Newman Road in four to five feet of water. They are using plastic beads or live minnows. 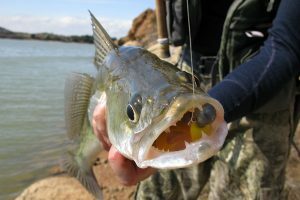 A few bigger perch ranging 10 to 12 inches were caught about 400 yards off the Bay City State Park. The perch seem to prefer beads over the minnows. Bigger perch were caught out near Spoils Island in the shipping channel. Off Quanicassee, perch anglers are fishing out from Vanderbilt Park however caution needs to be used as a couple anglers went through the ice in five feet of water. Perch and walleye were caught off Tietz Drain but there was no activity off Sunset Bay or Thomas Road. At Sebewaing, anglers fishing inside the marina basin caught small perch and bluegills. Activity at Mud Creek was spotty. A warning to anglers, the area of open water and bad ice out in Wildfowl Bay continues to grow. At Caseville, those fishing inside the marina basins were sorting through a lot of small perch. A couple lake trout were caught out near the end of the breakwall. Saginaw River: Ice on the upper river from Rust Avenue down through town is deteriorating but still too much to launch a boat. Those fishing downstream from Zilwaukee caught sublegal walleyes. In Bay City, those fishing just north of the bridge near Veterans Park said the ice was getting bad. It was better downstream of the Independence Bridge however anglers still need to use caution. 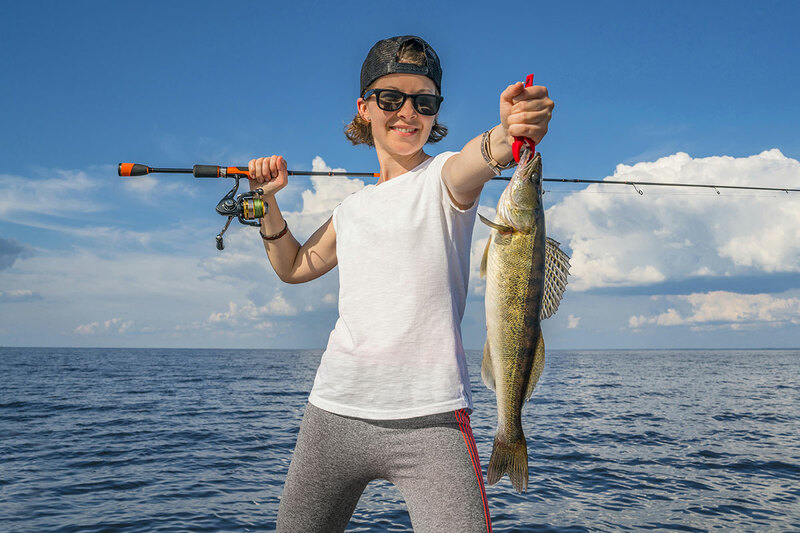 Perch and walleye were caught. Fishing was slow at Essexville. 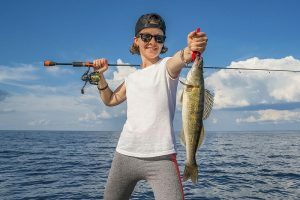 Tittabawassee River: A few anglers launching their boats at the Gordonville Road launch and fishing below Dow Dam have caught a decent number of walleye. The problem is the large mounds of snow in front of the launch ramp. The only way to launch a boat is to physically drag it with all your gear over the piles of snow. There was no activity downstream of Gordonville Road. Au Sable River: With temperatures rising and the day’s getting longer, conditions on the river are getting better. Most of the access points were open. Steelhead seem to be moving from the mouth to the dam and back out. The fish are silver which means they are fresh from the lake. Most were caught on spawn. Tawas: Had lots of ice fishing activity in Tawas Bay. Anglers were fishing northwest of Jerry’s Marina in 15 to 20 feet of water. Walleye fishing was slow with only a few fish taken in the evening. Perch were spotty and most of the fish caught were small. Au Gres River: Had no fishing activity near the Singing Bridge. Tip-ups have been a popular ice fishing method for ages and over time these contraptions have gotten more and more effective. As a result, many anglers swear by them while targeting certain species during the winter. While older versions of tip-ups were wooden, new versions are plastic and often have helpful features, including a line guide and a tripping mechanism. 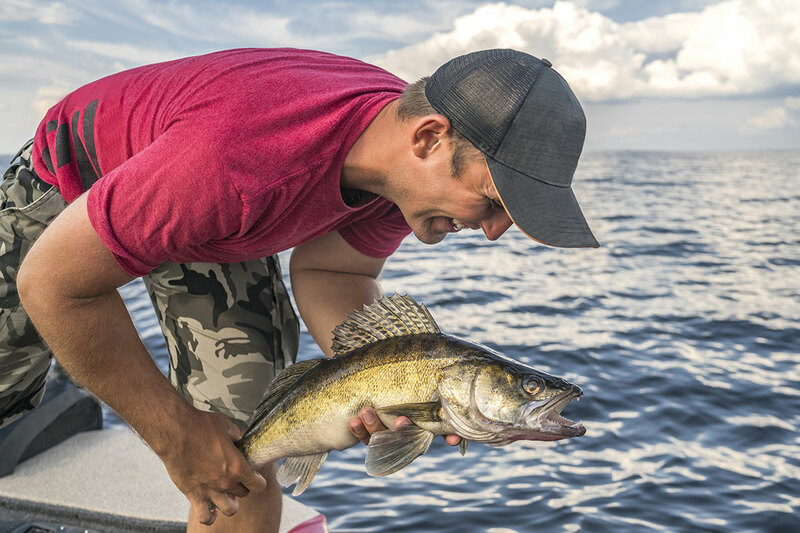 Most often tip-ups are used to target northern pike, brown and rainbow trout, walleye, and even larger perch. Anglers will often use heavy, braided line that’s black with their tip-ups, which withstands freezing temperatures, tangling and getting lost when it’s pooled on the ice. Consider using a tip-up when you make your next trip on the ice. Want to know more about ice fishing in Michigan, perhaps with tip ups? Check out MDNR ice fishing article online!